NAPANEE, Ont. / More than 400 people marched on the Quinte Detention Centre in Napanee, Ont. Saturday, banging drums and waving placards protesting the jailing of a retired Ardoch Algonquin First Nation chief on charges of contempt. The Rainy River District School Board is taking steps to provide a safe and caring learning environment for students that respects and values all cultures within its system. I am writing after hearing the news of the sentencing of the protesters at Robertsville, near Sharbot Lake, for contempt of court after they went against a court injunction. All involved understood that contempt of court was a serious offence but from what I have been reading on the government websites and the website of Frontenac Ventures Corporation (FVC) themselves, this was a situation where the people only had one course of action and that was to protest. Drivers who fall asleep behind the wheel or commit “momentary acts of negligence” should not be held criminally responsible for their mistakes — even if there are devastating consequences, says the Supreme Court of Canada. For aboriginal communities in Ontario, hardship is the problem. Too little money, too much tragedy, a feeling the rest of us don’t understand — or even care. Capital and infrastructure deficit in First Nations was on the agenda at the January meeting with Indian and Northern Affairs Minister Chuck Strahl. Dr. Karl Hele will be at the Shingwauk Auditorium, Algoma University, Tuesday at 7 p.m. to deliver a presentation entitled Performing History and Myth: The Garden River Ojibwa’s Interpretation of the Past for Community, Cultural, Political, and Economic Development. Long Plain First Nation residents are hoping by banding together they can help reduce crime on their reserve, southwest of Portage la Prairie. A controversial video which seems to mock an aboriginal pow wow is continuing to cause outrage and disgust in the Rainy River District. OTTAWA — Rights to a large swath of Edmonton’s south end are up for debate today before the Supreme Court of Canada, where natives will argue that Ottawa swindled their ancestors into surrendering the land in the 1880s. SASKATOON — A national conference held in Saskatoon this week brought those working to improve the lives of urban aboriginal peoples together to learn from shared ideas and experiences. Nunavut Premier Paul Okalik came under fire from MLAs Thursday for comments he made in the legislative assembly about the Nunavut Employees Union’s upcoming convention. Arts and culture, from filmmaking to mural painting, will make up as much of next month’s Arctic Winter Games as sport, say organizers of the week-long circumpolar event to be held next month in Yellowknife. A new agreement was signed in Thunder Bay Friday between three educational facilities with the aim of supporting the success of Aboriginal students. AFN National Chief Phil Fontaine WATCH A VIDEOPHIL FONTAINE INTERVIEW This week George Negus interviews Indigenous Canadian leader and AFN National Chief, Phil Fontaine about his response to Prime Minister Kevin Rudd’s apology to the Stolen Generation. For the last five weeks, the National Post’s Rethinking the Reserve focused on finding solutions to the aboriginal challenges facing Canada. One of the major themes of the series was the restrictions many First Nations face when it comes to developing their economies, an essential step in moving away from dependence on government support. Writer Kevin Libin talked with Chuck Strahl, who has been Indian Affairs Minister for six months now, about the series, the solutions and what Canada’s government can do to move First Nations toward better economic integration. The following is an edited transcript of their discussion. Residents in Rankin Inlet have continuous power again for the time being, as repair crews continue to work on fixing the problems that made three of the community’s four diesel generators shut down. The Aboriginal Healing Foundation and the Saskatoon Tribal Council are at odds about how money destined for sexual abuse survivors at the Yellow Quill reserve seems to have ended up in the hands of two band councillors and the relative of another. A group of angry cottagers sued the federal government and an Ontario Indian band for $50-million yesterday, saying they were suddenly evicted last winter from their summer homes on Georgian Bay. Audiences won’t like everything about Death of a Chief, the intriguing if sometimes flawed First Nations adaptation of Julius Caesar which premiered Thursday night in the NAC Studio. Some will criticize confusing changes to Shakespeare’s text. First Nations health centres will benefit Sask. The Kawacatoose First Nation’s proposal to build a health centre in Regina is consistent with the Muskeg Lake First Nation in Saskatoon for developing forward-thinking ideas. PRINCE ALBERT — Liberal Leader Stephane Dion was in Saskatchewan Thursday to drum up party support, but he was won over instead. The Niagara chapter of Native Women Inc., one of the oldest chapters of the Ontario Native Women’s Association, will celebrate its 25th anniversary March 15 with a storytelling and dance workshop. Ottawa cannot tell Six Nations precisely how it came up with the $26-million offer it made two months ago to settle a compensation claim that dates to 1829. The Nunavut hamlet of Rankin Inlet remained in a state of emergency Thursday after three of the community’s four diesel electricity generators failed. 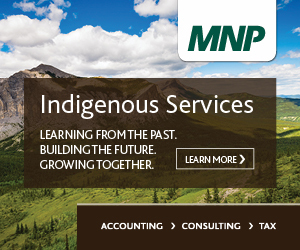 More and more, Canada’s aboriginal communities are taking an active interest in the country’s mineral industries. They protest exploration on lands they believe are theirs. They condemn the environmental record of mining. TORONTO – Sixty cottage owners from Hope Bay, Ont., have launched a $50-million civil suit against the federal government and an aboriginal group. The debate over the Deh Cho Bridge in the Northwest Territories came to a head Wednesday, with one MLA accusing Premier Floyd Roland of misleading the assembly on who will be held responsible for the multimillion-dollar private-public project. Energy – Lakota Drilling is the first energy services company to be recognized as a Gold Level Progressive Aboriginal Relations (PAR) company by the Canadian Council for Aboriginal Business. It’s enough to knock your Stetson off. Cree cowboy singer Shane Yellowbird is riding high on an astounding wave of popularity, logging a whopping 20 award nominations in the past 18 months for his straight-up country sound. A couple of weeks ago, he landed his first Juno nod. And the 28-year-old is still staggering under a pile of hardware he collected last fall at the Canadian Country Music Awards, the Canadian Aboriginal Music Awards and the Aboriginal People’s Choice Music Awards. The tally: eight trophies in about three months. Thousand of dollars of public money destined for healing workshops to help sexual abuse survivors on the Yellow Quill reserve in Saskatchewan appears to have been either squandered or pilfered. CALEDONIA – John Tory stood yesterday before a crude wooden barricade erected on a suburban street that serves as a dividing line between order and lawlessness in this community of 11,000 on the banks of the Grand River. A lawyer is pushing to obtain the results of a provincial police internal investigation into the force’s handling of an attack on two television cameramen during the native protests in Caledonia. The head of 30 of the most remote northern reserves in Canada says since the prime minister won’t apologize to aboriginal people for the abuses they suffered in residential schools, the Queen should. About 100 years ago, approximately 30 aboriginal people living in what is now Jasper National Park, were asked to leave and not come back so that the Canadian government could create another mountain park. Two local companies have been recognized provincially as top employers of Aboriginal apprentices. Syndrude Canada has received the award within the large company market, while B.G. Industrial Doctor received the award for small companies. Prince Albert RCMP are asking for the public’s assistance in the investigations of two separate incidents within a week involving suspicious men following young people on the Muskoday First Nation. Imagine a local elementary school in a city like Timmins or North Bay being closed down by an environmental hazard. I know too little about First Nations’ roles in this country historically and currently, but I do know that First Nations principles, historically and culturally, are based on respect for the land, which translates into environmentalism. I know a little about residential schools-based genocide and related forms of genocide as well. But I think I learned all one really needs to know last week at the Frontenac County Court House, where Justice Douglas Cunningham concluded that Robert Lovelace and Paula Sherman, leaders of the Ardoch Algonquin First Nation, should be sentenced to six months in prison and fined more than $35,000 for trying to protect their (and our) land from environmental disaster. The Cowessess First Nation is seeking to turn six lots in North Central Regina into an urban reserve. The chief of the Fort William First Nation said Wednesday a deal reached over drinking water is a sign of a better working relationship with the City of Thunder Bay. Chief Harry Pelletier turned the tap on Bare Point water earlier this month, putting an end to Loch Lomond’s long run as the band’s main water source. A $25,000 grant will mean seniors on Georgina Island will have the opportunity to participate and take an active role in their community, MP Peter Van Loan said. Nunavut Premier Paul Okalik said Tuesday he will investigate a lawyer’s allegations of political interference in the territory’s justice system. Inuit leaders in Nunavut say they are disappointed by federal Fisheries Minister Loyola Hearn’s decision to transfer valuable turbot quotas to companies outside the territory. Call it an overnight success story more than 45 years in the making. Amid skyrocketing prices for iron ore, Baffinland Iron Ore Mines Corp. confirmed yesterday that its Mary River project in Nunavut, first discovered in 1962, is one of the largest undeveloped iron ore deposits in the world, containing 365 million tonnes of proven and probable reserves. The Canadian Museum of Civilization is celebrating one of Canada’s most influential visual artists with a retrospective exhibition to be presented from January 18 to April 20, 2008. Daphne Odjig: Four Decades of Prints traces the Aboriginal artist’s creative arc from powerful, groundbreaking experimentation to graceful, mature expression. For defenders of Canada’s government-monopoly health care system, there is only one goal that truly matters. And, no, despite their earnest insistences to the contrary, that goal is not the health of patients. It is the preservation of the public monopoly at all costs, even patients’ lives.